For most macOS users, Apple's Safari browser is their window to the online world. These add-ons can make the browsing experience even better. Although its feature set may not be on par with Google’s Chrome, Microsoft Edge and Mozilla’s Firefox, Apple continually updates browser to patch security holes and roll out new features. According to Apple, the version included in the forthcoming macOS High Sierra will block ad trackers and stop autoplay videos by default. While the 15-year-old Safari is packed with features to meet most users’ needs, its capabilities can be enhanced by installing extensions that unlock new options and direct access to third-party services. We studied Apple’s Safari extensions gallery and selected 10 of the most popular and fitting extensions for IT professionals who want to boost the power of Safari for work and at home. 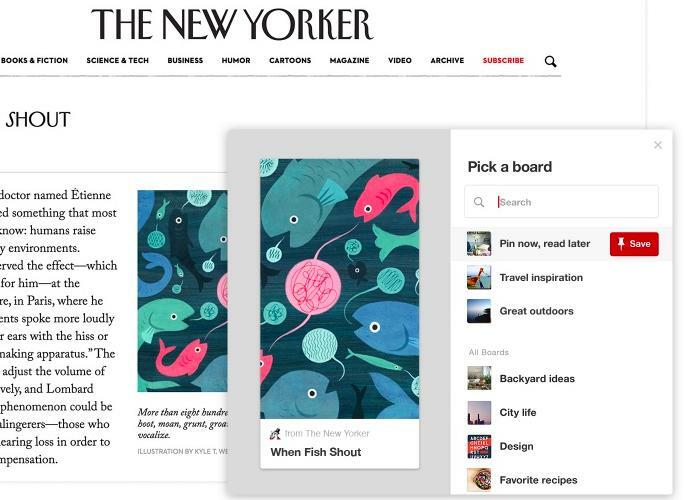 Pinterest’s browser button for Safari provides users with a more direct and seamless way to save creative ideas from around the web. Pocket is one of the most popular and feature-packed bookmarking tools online. The Pocket extension for Safari extends the capabilities of the cloud-based archive by giving users direct access to save any content on the web that they want to view later. The free Pocket service should be enough for most users and the content they save is automatically synced so it can be retrieved and viewed at any time without the need for an internet connection. Pocket has more than 22 million users who have saved a combined 2 billion items to date, including videos, images, text and other content. 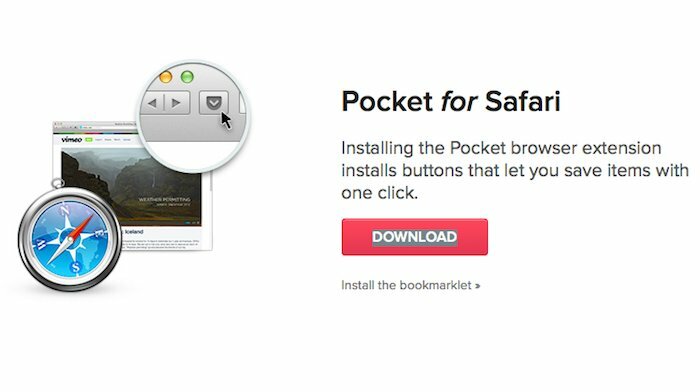 Pocket’s extension for Safari simplifies the process for users to save videos, images and articles for future viewing offline. 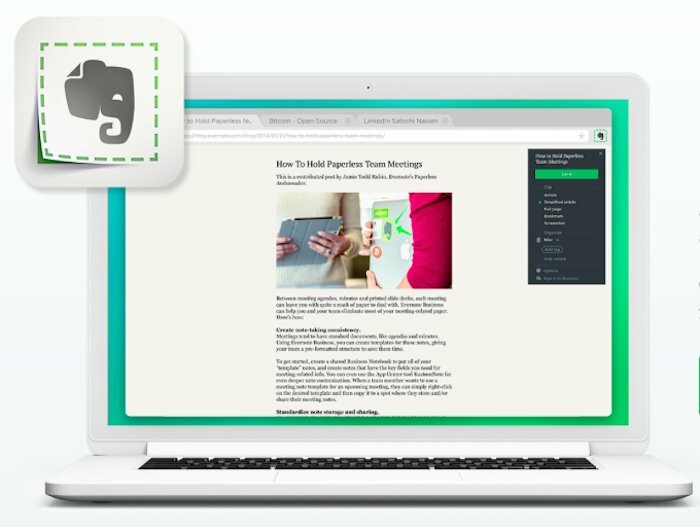 The Evernote Web Clipper extension brings one of the most popular web-clipping and note-taking apps in the cloud directly to Safari. Users can clip entire articles to be saved and read later on any device that supports Evernote, and the extension can be used to share annotated images or text directly from the web. Evernote Web Clipper lets users search for related notes in their Evernote account and select specific content by clicking and dragging around the content most important to them. Evernote has an estimated 200 million users. With an estimated 200 million users, Evernote’s Web Clipper extension for Safari is a popular choice among those using macOS devices. 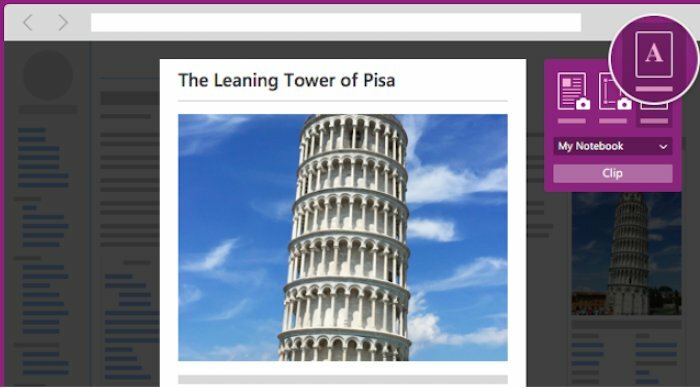 The OneNote Web Clipper extension from Microsoft makes it easy to capture any webpage to OneNote. Users can save, annotate and organize any digital content from the web. Pages saved in the OneNote Web Clipper can be categorized into custom notebooks for users to access later on any computer, tablet or phone. The extension also makes it easy for users to remove digital clutter by clipping only an article, recipe or product information of particular interest. Bring Microsoft’s web-clipping and note-taking tool directly to Safari with the OneNote Web Clipper extension. Grammarly is one of the most popular Safari extensions because it helps users write clearly without making embarrassing grammatical or spelling errors. Users are required to set up an account to install the extension, and the free service includes up to 400 grammar/spelling checks per month. Grammarly goes beyond a typical spell check by detecting missing hyphens, contextual errors and commonly confused words. Grammarly doesn’t work on Google Drive or Google Docs, but it helps many users write mistake-free on Gmail, Facebook, Twitter, LinkedIn and almost everywhere else that requires you to write on the web. 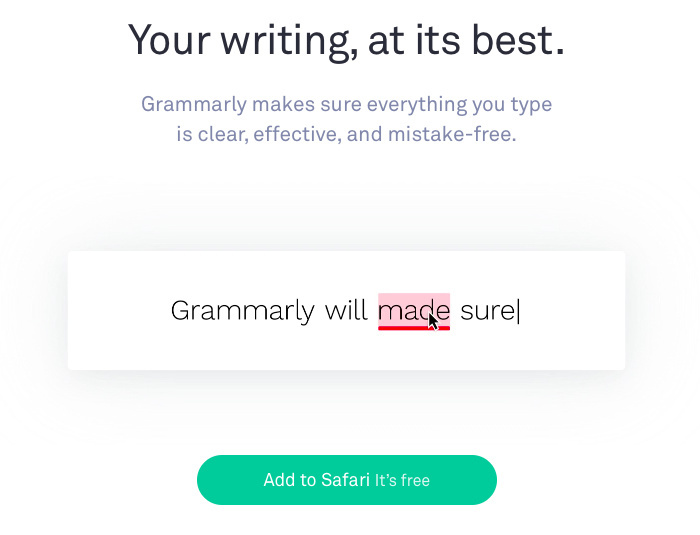 Grammarly helps users up their game by writing clearly and without mistakes. DuckDuckGo is the search engine for users who’ve grown to distrust the business practices of Google, Yahoo, Bing and other search engine firms. Safari users can install the DuckDuckGo extension and bring the search engine directly into the browser’s default search field. DuckDuckGo doesn’t track, collect or share users’ personal information or search history and doesn’t follow its users around the web with ads. 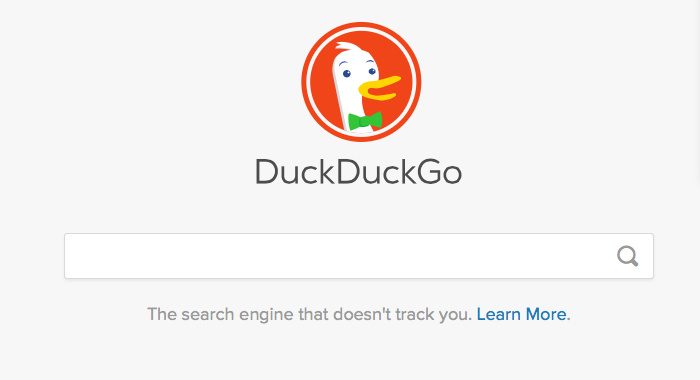 Safari users might find that DuckDuckGo is a search engine they can trust and still rely on for relevant results. LastPass makes password memory recall and tedious password resets a thing of the past. The password manager safely stores user data with AES-256 bit encryption and automatically fills login info on sites around the web. 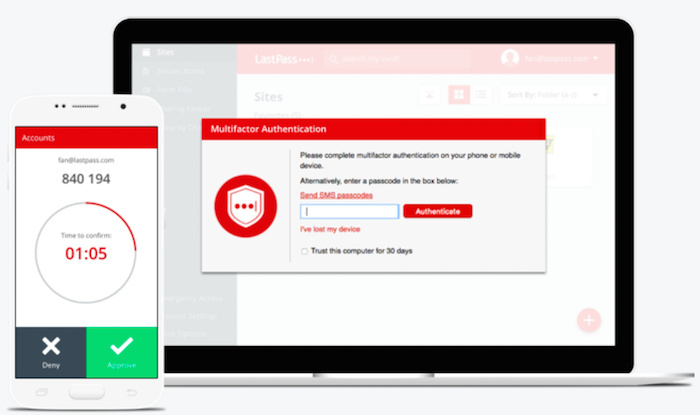 LastPass is available for free and charges $2 per month for premium features like one-to-many sharing, advanced multi-factor options and priority tech support. LastPass can also generate passwords for sites, giving users the freedom and flexibility to maintain a master password for the LastPass service without having to create unique passwords for every site they use. LastPass can safely encrypt and store all of your logins and passwords. 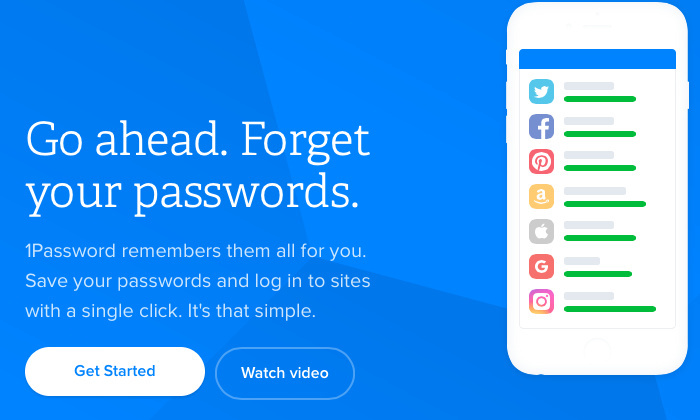 1Password is another popular password vault that can automatically log users into sites, fill out personal information and generate strong passwords. 1Password costs $3 per month for individuals and $5 per month for families with up to five people. The service is more polished and has more features than LastPass, but isn’t currently supported on Windows or Chrome devices. 1Password also allows users to bypass the cloud and store their information locally, and it can generate one-time tokens for sites that require two-step verification. 1Password is a more feature packed password vault, but it’s not as widely supported as LastPass and others. Adblock Plus has a legion of fans and users who herald its ability to block annoying ads from showing up in your browser. The Adblock Plus extension for Safari can also be customized to allow unobtrusive ads, blocking only those that get in the way when surfing. According to the makers of Adblock Plus, the open-source extension is currently active on more than 100 million devices, blocking banner ads, video ads, pop-ups and other junk advertising. 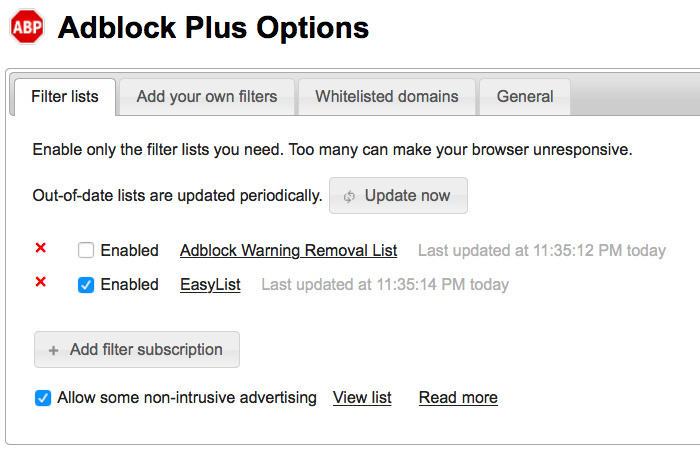 Adblock Plus removes annoying ads of all types and is actively used on more than 100 million devices today. Shut Up is the kind of tool that would be nice not to need, but the web can be a cruel and hateful place. Shut Up is a free Safari extension that simply blocks all comments from appearing in your browser. Users can toggle the feature off any time they want to step into the darkness and remember how quickly online conversations can devolve. The maker of Shut Up says the extension won’t track or spy on browsing activity, so that comment-free browsing experience won’t come at the expense of user privacy. Comments can turn an enjoyable browsing session into a deeply painful and discouraging experience. Shut Up puts an end to that by hiding all comments by default.